Obituary for Thomas Victor Powers | O'Neill Funeral Home, Inc.
Thomas Victor Powers, “Tom”, 79 of East Taunton, MA, passed away on Friday, March 29th at Morton Hospital in Taunton. He was the loving husband of wife, Bonnie, to whom he was married for 56 years, and is survived by daughters, Kerri E. Powers and son-in-law John Interlandi, Kristi J. Powers (and her beloved labradoodle, Ted), and grandson, Nolan Thomas Cardwell. Thomas was born in 1939 in Methuen, MA to his father, Joseph F. Powers of Peabody, MA, and his mother, Elizabeth E. Powers (Lillis) of N. Chelmsford, MA. He was one of ten children, four of which are now deceased, Kathleen Lynch of Colonia, NJ, Joseph Powers of Middleborough, MA, Elizabeth Cabral of N. Dartmouth, MA, and Thomas’ twin brother, Terence Powers of Middleborough, MA. He is survived additionally by sisters, Ann Cadorette of Bridgewater, MA, Margaret Corriea of Lakeville, MA, Rosemary Comeau of Indio, CA, Brenda Calligan of Rohnert Park, CA, and brother, John Powers of Marion, MA. Tom served in the US Military and was stationed in Germany during the Korean War. He was dedicated to his occupation as a high-power lineman for the Taunton Municipal Lighting Plant for over 32 years, during which time he was honored for saving a fellow lineman’s life. He also travelled extensively, establishing powerlines in countries such as Honduras and Egypt. After his retirement, Thomas was a foreman on Block Island during which time he helped to build a high-voltage substation. 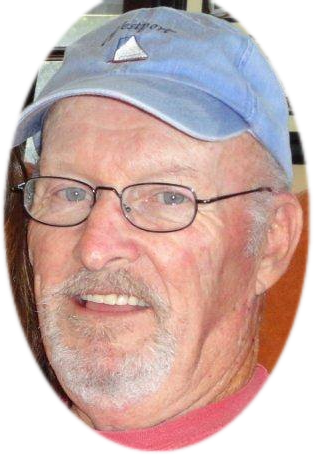 A devoted family man, Tom enjoyed weekend rides with his wife, Bonnie to Tiverton, RI, attending baseball games with his grandson, Nolan, family gatherings, live music, working in the yard and bird-watching. He also looked forward to his workouts at the Middleborough YMCA most days of the week and brunch with his siblings. Tom always had a genuine interest in others and was a most kind and compassionate soul. He will be deeply missed and we are so thankful for the blessing of being a part of this remarkable man’s life and journey. Visiting hours Wednesday (April 3, 2019) from 4-7 PM in the O'Neill Funeral Home, 59 Peirce Street (corner of School Street) Middleboro. A Mass of Christian Burial will be celebrated on Thursday (April 4, 2019) at 10 AM in Sacred Heart Church, 340 Centre Street, Middleboro. Please go directly to the church. Interment will be private and at a later date.